Abandoned, alone, and left with nothing but dark shadows from the war, our hero found himself in a circle of trees within a laid-waste land. There he sat down to contemplate how he should die. Those of you who are familiar with fairy tales will suspect that our soldier is in crisis. And, just at the moment when the hero or heroine is destitute and out of options, the time is ripe for something marvelous to appear. The opportunity for a life-changing adventure, or test, is in the making, an intervention from the magical realm, or in our language, from the creative unconscious. Indeed, this is the case for our destitute soldier. He hears a rustling noise from behind, and now a strange man stood where there had been no man before. Strange indeed, for this “stately” man wears a green coat and has a cloven foot. Again, as you already suspect, this stately green-coated, cloven-footed man has a proposal for our hero. One that will bring him grace, salvation, and prosperity, or sure death – death of soul and body. The test will involve living for seven years inside two coats, a bearskin, and the mysterious man’s green coat, without washing, cutting his hair, trimming his nails, or any personal grooming at all. Yikes! Could you stand yourself, living inside your own shadow stuff, for seven years? What is this story about? Tonight I will lead us thought the story of Bearskin. We will spend time looking at how the story starts – the story’s threshold, and its initial conditions. We will share our associations with the archetypal patterns present from the start, and speculate as to where we see these patterns operating in today’s world. For example, you will probably associate Bearskin, a story that comes to us out of the Ages of Stone, with many stories of our military personnel and veterans today. Yet, many times we suffer moments in life when we are, washed up, destitute spiritually or otherwise, and have received help from unknown sources. Our fairy tale has much to teach us about such moments and such marvels. 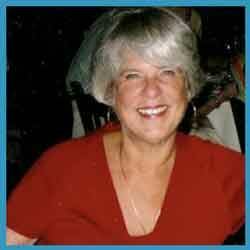 Bonnie L. Damron, Ph.D., L.C.S.W., is a Jungian-Oriented psychotherapist in private practice in Northern Virginia. Bonnie is a clinician, cultural anthropologist, artist, and storyteller. She teaches courses in mythology, fairy tales, Shakespeare, the Greek Classics, and readings in the writings of C. G. Jung. She also leads contemplative retreats, and conducts study tours in Crete. She holds a Masters of Social Work from Catholic University, a Doctorate Degree in American Studies from the University of Maryland, and has completed the Two-Year Pattern Analyst Certificate Program at the Assisi Institute in Brattleboro, Vermont.